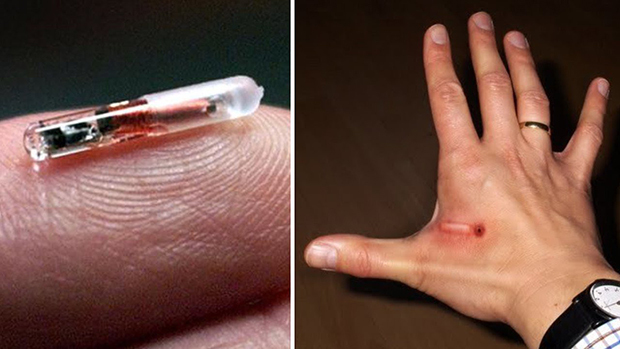 You are here: Home » News » Mark of the Beast » Prophetic dreams reveal RFID microchip is the mark of the beast and happening now. I received three dreams this year revealing the RFID chip is the mark of the beast, the first two prior to seeing the RT video and a third afterwards. I received the first dream around March 2018. In this dream, I was at my family’s home and my sister had come home after visiting a doctor’s office and receiving an injection. As I was talking to her, I realized she seemed like a completely different person, and I felt great sorrow as I knew she had received the mark of the beast and was condemned. Then the dream ended. Then I saw the kneeling man put out his hand and the Muslim leader came forward with a syringe to put the mark of the beast into the man’s hand. I knew it was the RFID microchip. I was in the very same room where this was occurring. I ran forward and attacked the Muslim leader, killing him. Then others who had robotic bodies came and attacked me. I shared more details about both these dreams in this 19-minute video, which I published on November 15. My third dream is shown below the video. After these dreams, I prayed to the Lord and asked Him if they were chipping people now with the mark of the beast. Then I received a third dream from the Lord (third confirmation). In this dream, I was working in a corporate office building. There was a man there who looked very solemn and hunched over. I knew this man had taken the RFID microchip and had shared this and popularized it on his social media as a happy recipient of the RFID microchip. He had been totally for it and publicly promoting it. Yet, when I saw him, he was hunched over and very dejected, so I asked him, “Have you taken the RFID microchip?”. He then explained that he took it for reasons of financial gain and afterwards he boasted about receiving it to the people he knew and even convinced his family to take it. Then afterwards, he learned that he had condemned himself and his family. I knew I was speaking to a condemned man and he knew this completely. By convincing his family to take the RFID microchip, he had caused them to be condemned as well. Since I witnessed the attack, they were forced to investigate. I then saw the man who punched him in the face was speaking very strangely and he then transformed into a woman. In the last part of the dream, I was in a meeting with top managers of a corporation in a corporate office and I was speaking with the CEO and the other top leaders. They were so evil I could feel it. All they cared about was money and profits. They didn’t care about breaking laws. They didn’t care about their employees or any morality. I knew this CEO had received the RFID microchip in this place. Not everyone there was chipped but he was. The dream ended there. I shared more details about this dream in the following 11-minute video, which I published on my YouTube channel on 27th November 2018. I believe the the RFID microchip is the mark of the beast. It is the size of a grain of rice, so small it can be injected with a syringe. The microchip is capable of storing all manner of information, including bank accounts and healthcare data. It can be used to make financial transactions, including buying and selling goods with the wave of the hand over a digital reader. The Lord showed me people are already receiving the RFID microchip, mark of the beast, and already being condemned right now in the world, which means they are unable to come to salvation after receiving it. Currently this is voluntary, but soon it will be mandatory and those who do not have it will be unable to buy and sell. Since I prayed to the Lord and asked Him if they were chipping people now, I believe my dream confirmed they are. This dream showed this is happening in corporate workplaces, which is easily confirmed by researching what is now happening in the world. I believe the reason why the man who told me the truth was attacked viciously and the corporate leadership was trying to remove and silence him was because he spoke the truth regarding the RFID microchip. I believe the man who punched him and transformed into a woman was a demon, and the demonic forces did not want the truth to be told. I have received three dreams from the Lord showing me the mark of the beast is the RFID microchip and I have spoken this truth. I have seen considerable lies and deception on this topic seeking to lead people away from this truth, trying to make people believe the mark of the beast is not the RFID, that it is spiritual only or is Sunday worship or other things which aren’t true. I share this warning for the body of Christ and for all others. Please pray and seek the Lord Jesus. May God bless you. Confirmation of your dreams Christopher by one of the engineers that worked on this RFID chip…and who God called out of the darkness. Here’s Dr. Carl Sander’s website: http://trumpetministries.net/the-mark-of-the-beast. He died in 2014. Seems his family keeps it up. Informative video, Brian. Thank you for sharing. I have never agreed with the chip, it’s a modern way to become a slave, someone constantly tracks you, which is not normal. Anyways, I prayed last night before I went to bed and asked God to tell me what the Mark of the Beast is and I had a dream. In my dream I saw a man get a chip put in his hand, then later on that his skin on that same arm was illuminated by a golden light and I could see snake skin. The other people around us could not see it or didn’t seem bothered by it. But it was spreading from that arm to the rest of his body. I believe God showed it illuminated so I could see this man was being transformed and he was completely unaware, as were the others around him. So I am taking this as confirmation that the chip is definitely the Mark of the beast as I watched a man’s skin literally start becoming snake like when illuminated under a golden light. Thanks for the link Brian. I have studied the chip for years and the video confirms my suspicion of this end times device. This device is much more sinister than just info and tracking of humans. Something in it has a detrimental affect on the person and soul and it is my contention that the chip is controlled by a central data base. What kind of machine or computer could do this? With the CERN/Google announcement of their marriage, they now have a system that can combine Artificial Intelligence with Dark Matter/Energy from the bottomless pit. CERN’s famous logo of 3 intertwined 666 is disturbing and seems to connect dots to this system that will control the multitudes who have taken the chip and whoever has this chip will be tormented by stinging locust from the bottomless pit during the Great Tribulation, the last 3 1/2 years of Antichrist rule. Could this device be the Image to the Beast? We will know soon enough. Is this device controlling people now? Look at major Dem. and some Rep. politicians such as Maxine Waters-Adam Schiff-Pelosi others. Look at and study top FBI/Justice Dept. officials-Rosenstein-Comey-Mueller-Strzok and many others. They have an abnormal aura about them, their eyes look strange, and they are cult like in their quest to undermine America and bring the One World Government to fruition. It makes perfect sense that Satan would start from the top down to gain control. Jesus warned, this evil will come on like a snare and catch the unaware. It will not be a gradual take over but a sudden thing that happens. I too have done a lot of research on the MOTB over the years. You’re right, it will be more than info and tracking. I believe it will change a persons DNA, and could be synced up with the 5G network. Also you mention CERN. Check out this Google patent, its a mini CERN on your wrist dubbed the “Vampire Watch”. 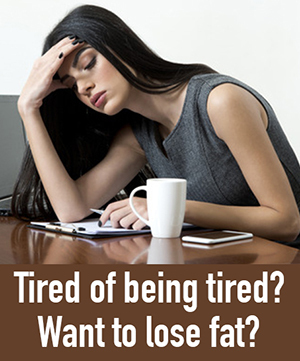 Hi Sir William – I have seen research as well showing it will change the DNA as well. There is research detailing how intelligence agencies and the military use frequencies to control people’s thoughts, actions and even the body’s physical reactions. Patents exist for these findings. Truthstream Media has several videos on this topic. Speaking of frequencies and music, I think you might be interested in reading this post by James on Nov 22, 2017: https://z3news.com/w/restore-heavenly-music-days/. I’ve seen that research as well, and I completely agree. The connection of tech in the body (chip) with an all encompassing 5G+ network to activate, sync, and control could be how the mark works. I also think that nanotech that will cover our entire ecosystem will play a part in the total connectivity or “singularity”. I think most of us have known that the RFID chip is the mark we are not to take. That said, unbelievers do not understand this. Here is a question that takes wisdom, if a person receives the chip and then later comprehends what they have done and have the chip removed; they repent before God, will HE have mercy on their ignorance and receive them into Heaven? I would like to hear what you all think on this. Once a human assimilates the chip, they are no longer human. The chip begins modifying their DNA – they become transhuman – hybridized. They cannot repent. Yeshua did not die for non-human species. The Flood was to remove non-humans (nephilim) from Earth leaving pure human genetics (Noah and his family) to repopulate. I think soon, most people will markup/chipin and human flesh will begin disappearing as it is replaced by transhuman man/machine organisms. You think you have a dear sibling, or child, who, though they are not a Christian, you think they would never do anything that would cause harm to come to you (betray you)? They may think that, too. But once they “Chip In”, their DNA will begin changing, their thinking will change, their allegiance will change, and they will think that they are doing service to God, for the greater good, by ratting you out. I wonder this too, and also what about someone who is forced to take it against their will, I find it hard to believe that would never happen given everything else… surely God in His mercy could not condemn that soul. It cannot be forced upon you. If you read Revelation 13 & 14, you will see that people will be “forced” only by their desires to keep material things. You can still refuse if you live to that day (We still do not know the day nor the hour – we can surmise, since it is becoming more prevalent (as you can see by searching the news on microchips.) However, it means that you trust God, and God only from day to day. If you have not taken the Mark, you are keeping the temple within you (1 Cor. 6:19-20) for the Holy Spirit. Essentially, you are so afraid of the “many mansions” future promised by Jesus that you choose what you know, (a perfect life as described by men) versus what God says happens. The only way to know for sure is to follow what is written in the Bible. You will be amazed at how much has come to pass! Karen, that is right that the mark will not be forced on anyone, like being tied down and having the chip inserted against your will. However, the decision will be forced. I forgot who it was, Mary K. Baxter? ?, who saw that a parent or parents will have to witness the murder of their children if the parent/s refuse to take the mark. Also, if you refuse to take the mark, you get decapitated. The decision will become mandatory. No, the Scripture is abundantly clear as I posted above Revelation 14:9-11. There is NO going back! Once you have taken it you cannot be saved. I have heard it said that once a person takes the mark, he will be incapable of repentance. So my limited understanding is that your DNA would change in a way that you would no longer be you. You would be something other than human, and salvation is a covenant available only to the human race. If somebody takes the actual “Mark of the Beast”, he/she will not be able to reverse that since it launches a third-strand DNA, causing that person to no longer be human. He/she will become a part of satan’s army to fight the LORD. There is no turning back. Right now part of the “chem trail” mixture we’re all being sprayed with like bugs, includes nanobots that can replicate. That “Mark of the Beast” is the “launch” to cause those nanobots to sequence the third-strand DNA. . . . Turning humans into “hybrids” . . Please pray about it. Do some research on nanobots and chem trails. Include nanobot replication ability. Here’s a warning post from 2015, that I had to do, related to this very issue of “the mark of the beast” (see link below. This is also another reason why “Obamacare” is basically still in effect . . . It’s a part of the beast system. We do not yet know the details of the mark. It will not be forced upon an individual by force, rather it will be something that people will want to take, because of whatever benefits other than buying or selling it will provide. (If for some reason it is given by force, surely a loving our loving Father would not damn his faithful child to hell.) It will not be something that can be easily removed from your body, rather it will change you forever. Your DNA will change from human to that of something no longer human (beast). Remember, the tampering and destruction of our DNA by the fallen in Genesis is what forced God to flood the earth to destroy the abominations created on earth. Who we are as humans (our DNA) is the target. But what circumstances would be prompting people to take it already, while all normal avenues are still running smoothly (in us/Sweden…etc) ?? This is what I’m Struggling to understand. The chip in its current form and applications is not the mark of the beast. I would certainly be weary of any tech in the body (especially neural interface), but we have yet to see the actual mark of the beast. There’s going to be much more to it than data and tracking; we still have a little ways to go in the end of days timeline. I don’t agree Sir William, hence the dreams I shared. The RFID is the mark of the beast. God bless. I’m not saying an RFID chip isn’t the mark. I’m saying the current generation chip is probably not the actual MOTB. They’ve been giving the same data and tracking chips to dogs, cats, horses, and even some people for years. Also, most pictures or videos I’ve seen of people taking it are getting it in their left hand, or their arm, etc. You’re not going to be able to just dig this out of your body. I think the reason for that is not solely because of the decision you made, but because your DNA will irreversibly changed. I bet you could still have a conversation about Jesus with people who have taken a chip to unlock doors at their place of work. I’m sure they still have a sense of humanity to them. The MOTB tech just isn’t currently there in these chips. When the mark does come, it will be rolled out to the entire world under one banner to sync everyone into the world “Beast System”. Things are definitely starting to speed up the past couple of years, but we still have some time to go. Sir William, I heard the case of a young marine who would hear from the Lord. He had reservations in taking the chip, but did so anyway. He noticed the Lord no longer talked to him. He called a Christian radio station to find out if he was doomed. Another case was that of a female patient in a hospital who agreed to have the chip implanted. She felt the Spirit of the Lord leave her. One need not try to understand how a chip would affect the flesh. Just obey the Lord and don’t do it. Lot’s wife was told not to look back. She did not need to understand how looking back would change her flesh. She just had to obey. Great words of wisdom Marcio. I understand what you are saying but I believe the RFID is already the completed mark of the beast and people are taking it now, as my dream showed me. God bless. Be careful not to be a stumbling block for some others. Run away from any implant of the chip. Don’t even think about it. Yes to be clear- I never would take a chip, and neither should anyone else. Whether you think it’s the mark of the beast or not, don’t be stupid and chance it! People will be given the chance to learn the truth before this all happens. There will be a massive pushback by Christians to warn others, and people will have no choice but to take notice. Kasey, I think that because later on the decision will be forced, if you take the mark you live for now, but if you don’t then you are mudered, probably as a matter of fairness to all, the fate is set. Becoming a martyr for Christ would not be a mistake as compared to someone who took the mark to live, but later repented to escape damnation. It would be too late. SMALL CHIP FULL OF DEMONS,MANY WILL TAKE IT,FOR FOOD OR SURVIVE, BUT WILL BE THEIR ETERNAL DESTRUCTION. Kasey–I do not have a concrete answer to your question about removing the chip and denouncing it after it has been implanted. However if the chip is what I perceive it to be, the moment or soon thereafter it is attached to the body a chemical/spiritual change occurs that is irreversible. Sir William mentions that a persons DNA could change which is most likely the goal of this satanic device. A person could become a Nephilim “the fallen ones”–“the dead ones”. A high tech company, ZEBRA TECHNOLOGIES will most likely win the contract to manufacture this chip. Just a coincidence that the Mark of the Beast is made by a company that goes by the name of Zebra an earthly beast? Why do you think Zebra Technologies will win this contract? My husband is employed by them. I have known that with their rfid involvement that this could be a possibility. I have just hoped that it wouldn’t happen or happen anytime soon, because he would quit his job if this occurred. That would mean a major lifestyle change for us, since he would not look for another position involving rfid. Yes dani. This will separate the sheep from the goats. Most people these days have debt, whether credit card, auto or mortgage payments. These same people scoff at Biblical prophecy and will take the chip to save themselves from poverty and or imprisonment not knowing they have sold their eternal souls for fleeting materialism and short term comfort. A sad reality. In spite of the backlash these companies receive, regardless of it currently being voluntary, it just keeps picking up momentum. Promoted as making things more secure and hassle-free, seems like a good option to some, even though they are familiar with the biblical warnings of receiving the mark of the Beast in the hand or forehead. What’s more frightening to me is that some Christians will take the mark of the Beast too, even being aware of what it is. I think that shows how terrifying the time will be if one takes the mark knowing it will mean their own condemnation. Relying on our own mental or spiritual determination will definitely not be what keeps us from receiving this mark from hell. I saw a video yesterday of a man who had a chip implanted in his left upper arm. He was delighted with it. He didn’t say why he wanted it there. I wonder if he’ll later switch to an upgrade in his right hand. I have also wondered if having your irises scanned for computer Identification purposes constitutes taking the MOtB in your forehead.